Are you a Salon Artist looking for you a place to style/cut hair at a phenomenal price? Are you a Nail Technician looking for a place to service nails at a great price? If you are, this is the place for you! The Salon Studio on Main offers a Hair Stylist or Nail Technician what he/she needs to build their own business doing what they love! Being an independent Salon Artist is a growing trend in the salon industry, and 33% of all Salon Artists are now self-employed! A Hair Stylist has usage of 1 chair for styling, a hair sink for washing hair, a place to mix colors for coloring hair, a place to store extra products/equipment, and a break room. A Nail Technician has one manicure desk and one pedicure chair, along with room for storage and shelving for mani/pedi products. Parking is at the front of the building, and restaurants & shopping are right outside for Salon clients! In addition, Salon Artists can receive free business coaching to grow their clientele from owner Jerry Evans, also the owner of The Jerry Evans School of Music. The Jerry Evans School of Music is a rapidly growing music school in Wheaton (adding 90 students to the school this past year to reach 150 total). Jerry Evans can help each Salon Artist understand how to grow their clientele using the same methods that he has used to grow his music school at an incredibly quick rate! 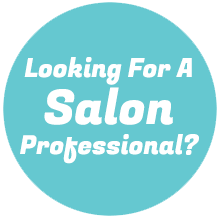 If you are a Salon Artist, call now! Call Jerry Evans at 630.597.6655 for pricing and to schedule a tour! The Salon Industry is projected to grow 31% from 2008-2018. Here is an excerpt from an article on the future of the Salon Industry. 33% of all Salon Artists are self employed, and self employed Salon Artists are succeeding in the industry. Being self employed as a Salon Artist is common. Here is an excerpt from an article on the past performance and future projections of the Salon/Beauty Industry. There are 84,000 cars that pass by the Salon Studio on Main every week. That is almost 4.5 MILLION cars per year! The rental price is hard to beat and I would recommend this location to someone wanting to start their own independent salon business. Salon Studio on Main offers, hands-down, the most value and the most competitive pricing in Chicagoland. I give Salon Studio on Main five stars because I've gotten to know the Salon Artists and have seen their loyal and happy customers. The average family income in Wheaton is $109,834 per year (70% higher than the U.S. average). The average household income in Wheaton is $86,074 per year (62% higher than the U.S. average). Wheaton has wealth, and it is a great place to style hair and start a Salon Clientele Business. If you rent at Salon Studio on Main, you can have the opportunity to receive free business coaching from building owner Jerry Evans. Business Coaching from any business coach can cost $350-$1000 per month. However, Salon Artists who rent at Salon Studio on Main can receive monthly business coaching for free so they can grow faster. There are 194 parking spaces right around the Salon Studio on Main. Parking is plentiful.